"Being a Code developer (programmer) it is too necessary to have a good command over multiple programming languages and also beneficial while want to make career in application(web/window) OR system development"
Here I am discussing 10 most popular programming languages currently used in all development centers throughout the world's most popular development companies. 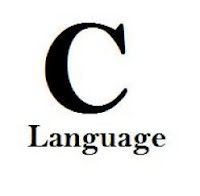 Ques: What is C programming? Sol: C, a general purpose programming language built by Dennis Ritchie when he was a part of Bell Telephone labs, is the bass of C++ and other programming languages. It was built to work with the Unix operating system. Ques: What is importance of C? Sol: C is one of the most widely used programming languages of all time, and ranked second on the list. “Learning C is crucial. Once you learn C, making the jump to Java or C# is fairly easy, because a lot of the syntax is common. Also, a lot of C syntax is used in scripting languages,” Wayne Duqaine, director of Software Development at Grand view Systems, of Sebastopol, Calif., told eWEEK. 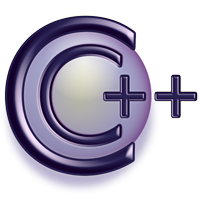 Ques: What is C++ programming? Sol: C++ is a general purpose multi-paradigm spanning compiled language that has both high-level and low-level languages’ features. It was started as an enhancement to the C programming language, Bjarne Stroustrup in 1979. Ques: What is importance of C++? Sol: It is one of the most popular programming languages, winning fourth place on the list, with application domains including systems software, application software, server and client applications, and entertainment software such as video games. The language has also greatly influenced many other popular programming languages, such as C# and Java. Ques: What is C# programming? Sol: This general-purpose programming language developed by Microsoft evolved from C and C++ as a part of the software company’s .NET initiative. Ques: What is importance of C#? Sol: This language is an essential part of the .NET framework, so developers who use Microsoft heavily will find it critical, according to Duqaine. Ques: What is Java programming? Sol: An object-oriented programming language developed in the late 1990s by James Gosling and colleagues at Sun Microsystems. 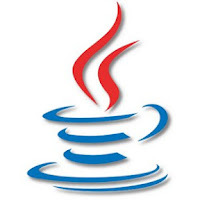 Ques: What is importance of Java? Sol: This “beautiful” programming language is central for any non-Microsoft developer, i.e. any developer who focuses on the non-.NET experience. It is mostly derived from C and C++ but has a more basic object model. It ranked first on TIOBE’s list of most popular programming languages. 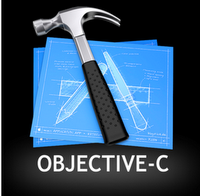 Ques: What is Objective-C programming? Sol: This object-oriented programming language created first by Brad Cox and Tom Love at their company Stepstone in the early 1980s, adds Smalltalk-like messaging to the C programming language. Ques: What is importance of Objective-C? Sol: This language is most used on the Apple iOS and Mac OS X. Objective-C is the principal language used for Apple's Cocoa API as well. Ques: What is Visual Basic programming? Sol: This is an event-driven programming language which is implemented on Microsoft’s .Net framework. Ques: What is importance of Visual Basic? Sol: This language ranked as the seventh most popular language on TIOBE’s list, probably because it was designed by Microsoft to be easy to learn and use. According to Tim Huckaby, CEO of San Diego-based software engineering company CEO Interknowlogy.com, “It is currently dominating in adoption and that is where all the work is,” as in eWEEK’s report. Ques: What is Python programming? Sol: This is an event-driven programming language which is extensively used by Google because of its simplicity. It is managed by the Python Software Foundation. Ques: What is importance of Python? Ques: What is Perl programming? Sol: Being a high-level programming language, its emphasis lies in code readability and clear syntax. It combines Object-oriented and functional programming styles, and is often used as a scripting language. Perl is an open-source language used widely to process text through CGI programs. Ques: What is importance of Perl? Sol: Perl’s efficiency in processing of piles of text has ranked it ninth in terms of programming language popularity. It is used extensively to write Web server programs for a variety of tasks. “Learning some form of scripting language, such as Perl or PHP is critical if you are doing Web apps," told Wayne Duqaine, director of Software Development at Grandview Systems, of Sebastopol, Calif., in a talk with eWEEK. Ques: What is Java Script programming? Ques: What is importance of Java Script? Ques: What is PHP programming? Ques: What is importance of PHP? Sol: It is a popular language, ranking sixth on TIOBE’s list. "High-speed scripting with caching, augmented with compiled code plug-ins (such as can be done with Perl and PHP) is where the future is. Building Web apps from scratch using C or COBOL is going the way of the dinosaur," said Duquaine, according to eWEEK’s report.